Search easier and faster on your smart TV and many other devices. 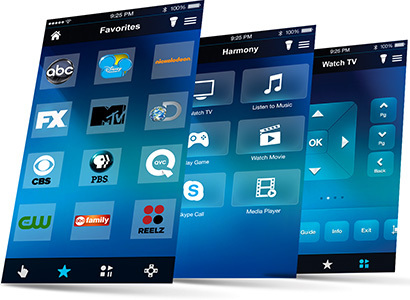 Plus Harmony app turns your smart phone into a remote control. *Wifi connection is required in order to use the Harmony Hub. Press an Activity button on Smart Keyboard, like “Watch a Movie,” and all the right devices automatically switch to just the right settings. 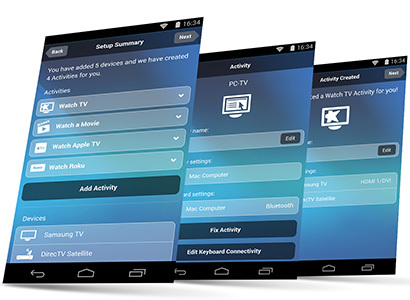 Anyone in the house can turn a iOS® or Android® smartphone into a personal entertainment remote with personal Activities, gestures, and 50 channel Favorites. The free app will walk you through the process step-by-step right on your mobile phone. And, Harmony users can use their current device and activity settings to make the setup process even easier. 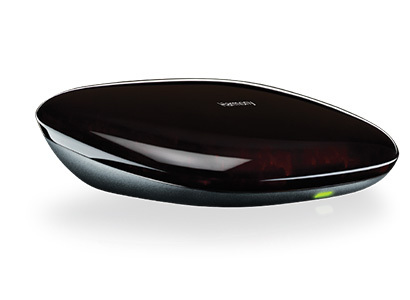 Harmony Hub turns signals from Smart Keyboard and Harmony App into IR, Wi-Fi®, and Bluetooth®* commands that your devices understand. *Bluetooth LE for iOS, Bluetooth 3 or 4 for Android. Don't worry about compatibility. 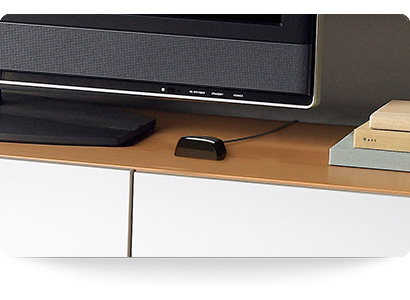 Control entertainment devices and access Internet services like Netflix® and Hulu™ on your PC, Mac®, Apple TV, Roku®, Xbox® or PS3. 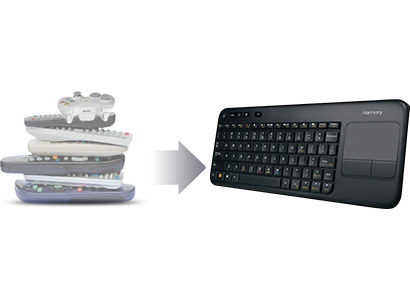 Smart Keyboard and Harmony Hub control devices without pointing, so you don’t have to worry about furniture or closed cabinets getting in the way. Using Harmony App on your smartphone, simply enter the brands and model numbers of your devices, and you’ll be streaming and surfing in no time.